I have heard so many great reviews about castor oil that I decided to give it a try especially since I have fine hair. Black Castor Oil is a powerful healing oil that has withstood the test of time. It is the end result of an ancient method used in preparing and making castor oil. 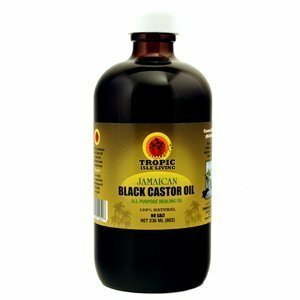 The fatty acids and phytochemicals found in Tropic Isle Living’s Jamaican Black Castor Oil address many health and beauty conditions. A bottle can serve as a hair and scalp conditioner; a skin moisturizer and healer; a massage oil for aches, pains, fibroids and lumps in the breasts; a powerful laxative and can be used as fist aid for cuts, wounds and burns. Black castor oil seals moisture in the hair with a protective coat. It’s also the only oil in nature with ricinoleic acid. It helps to destroys viruses, bacteria, yeast and molds that cause many skin problems. Tropic Isle Living Black Castor Oil also helps to remove uric acid from body – the source of many inflammations. As you can see, it’s good to have a bottle of Tropic Isle Living Jamaican Black Castor Oil close by. It’s always useful. I started a castor oil challenge about two weeks ago and was inspired by Kinkycurlycoilyme to actually make it public. She is also doing a castor oil challenge which will be starting in March. Let me just say that I am happy with the results so far especially on my daughter. I see new growth everywhere. I am yet to see thickness but I believe that will take some time. I massage her scalp with castor oil every other day. The oil is heavy so I apply very little on her scalp and ends. Sometimes, I add it to her leave in conditioner. I am also on this challenge. I am not sure of the results so far as my hair is in braids. But I have a lot of new growth. 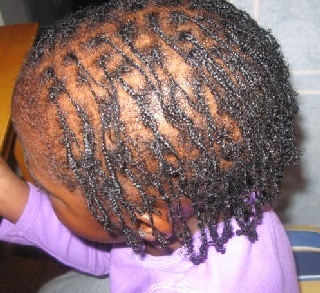 I have also had my braids for 4 weeks exactly, so the growth could be from the 4 week period. I use this on myself to massage my scalp, which in turn, stimulates blood flow to my scalp, encouraging growth. 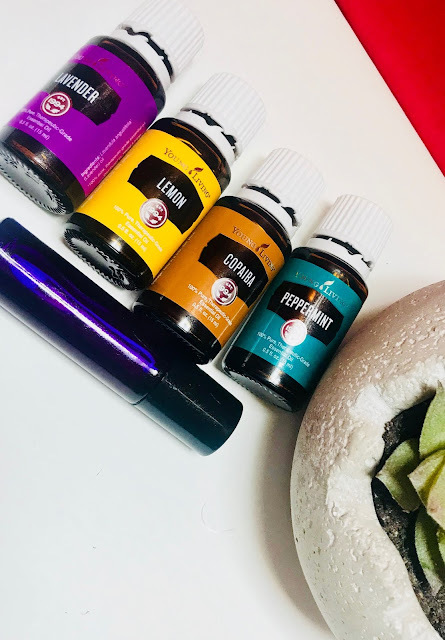 I am really excited about the possible fabulous results I could get from using this oil. If you are interested in the challenge, visit kinkycurlycoilyme to join the challenge. As you can see, the front of my hair is thin. I am hoping that my hair gets thicker from doing this chalenge. I think I am more interested in thickness than in length. This was my daughter's hair at the beginning of the challenge. So far, all those bald spots that you see are gradually being filled up. I am so thrilled about that . The front hair is getting thicker and she has only been on the challenge for about two weeks. So, this challenge is actually going to be permanent in our regimen if I continue to see great results. I have used products with castor oil and my edges grew back in. Castor oil is known to help with regrowth. I have also been using jojoba oil with rosemary oil and peppermint oil. I'm giving myself a few months to see if this helps with my thinned out spot. Hope the best for you and your daughter. thanks Jen. I am really excited about this.